Ominous dark clouds loomed down at us as we walked through the wet blanket air of Ho Chi Minh city. 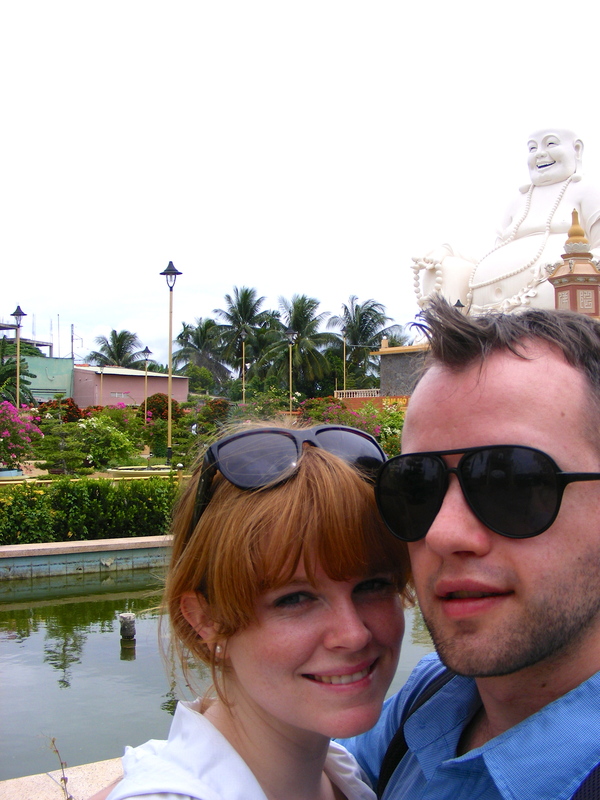 We were on our way to the Mighty Mekong River, the twelfth longest river in the world. We drove through the chaotic streets of Saigon, our transfer van bouncing on the potholes and swerving to avoid cyclists and scooter riders. After an hour of this, we reached our first destination, the Vien Minh Pagoda, the head office of the Buddhist association of Ben Tre province. 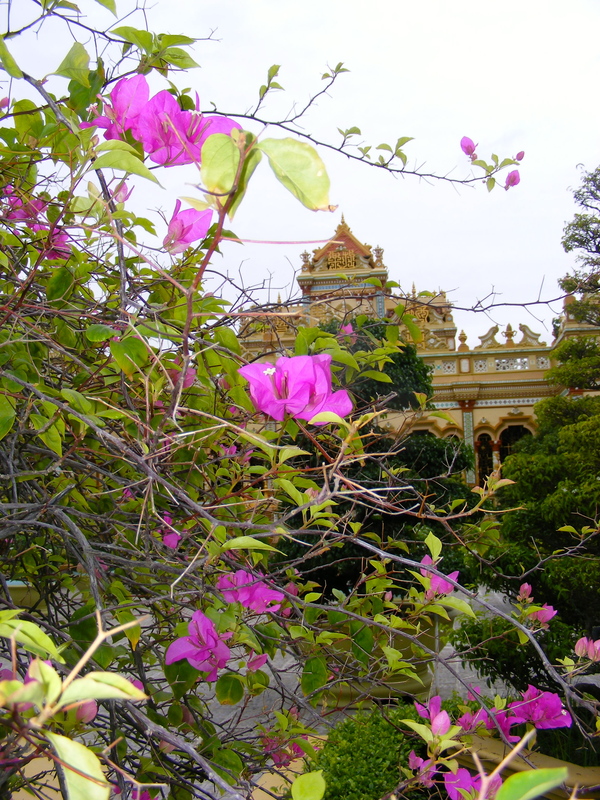 The Chinese style pagoda is magnificent with ornate gold and elegant curving architraves. 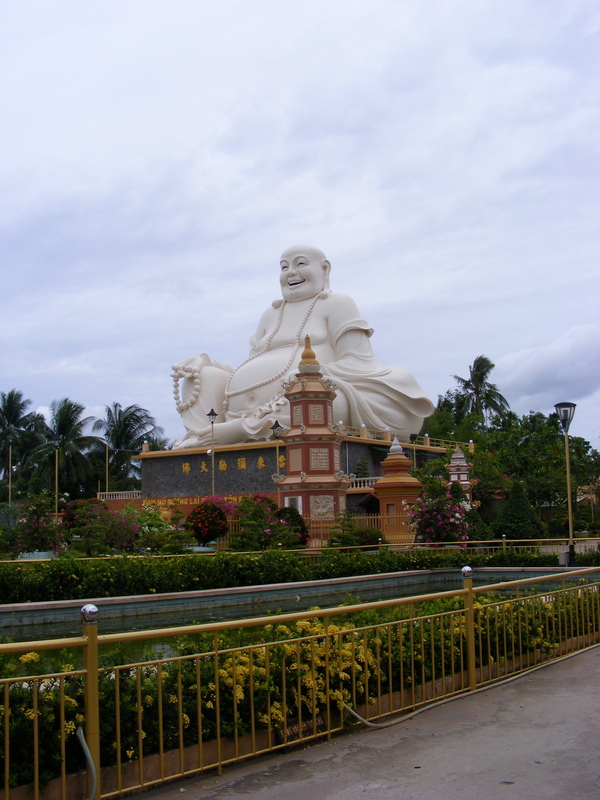 But perhaps the most impressive aspect of this pagoda is the gigantic white statue of the smiling Buddha set amongst bonsai trees, bright pink and lily white bourganvillia flowers and peaceful ponds. Despite the threatening grey clouds, it stayed remarkably dry and very warm while we were here. It was a big relief when we were able to get back in the comfort of the air conditioned van. 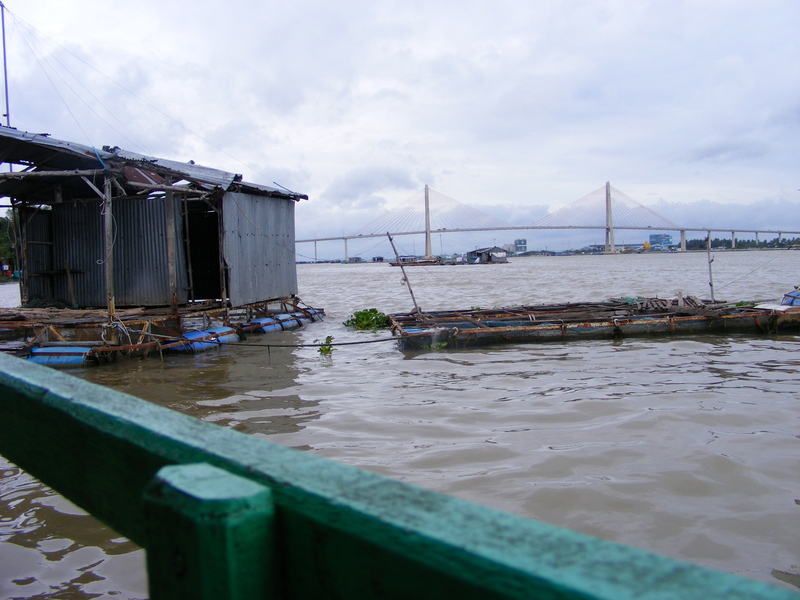 We wove our way down to the pier where we caught our first glimpse of the Mekong River. The river is approximately 4,350 kilometres long, making it the 7th longest river in Asia and runs from the Tibetan Plateau, through China, Myanmar, Laos, Thailand, Cambodia and Vietnam. 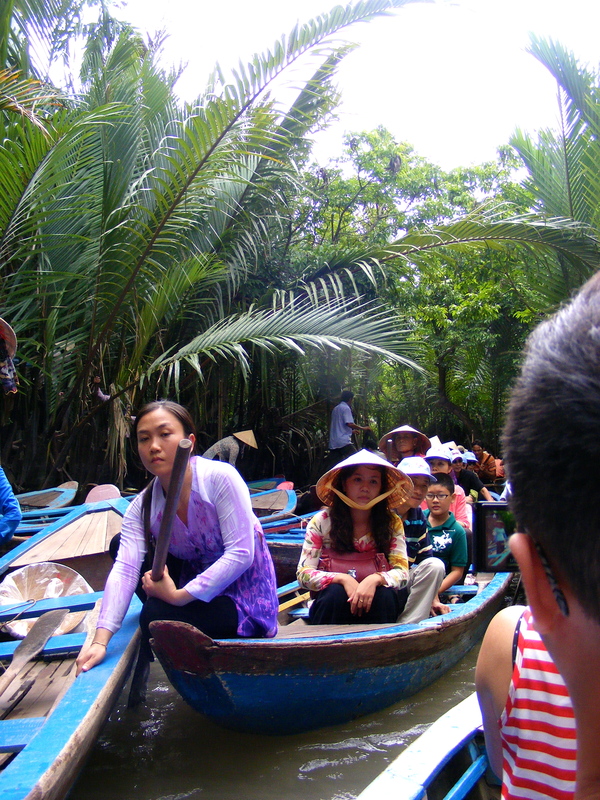 The area in Vietnam is known as the Mekong delta, where the river flows out to the sea. It has one of the most biologically diverse eco-systems in the world, second only to the Amazon River in terms of the number of different animal and plant species which reside here. Amazingly, in 2009 145 new species were discovered on this river. Today, however, we were only going to discover a tiny piece of this paradise. Interesting fact: the name “Mekong” is a commonly agreed upon name for this river, each of the countries connected by the river have their own name for it! Crazy huh? Mekong was chosen because it was easy for foreigners to say and is derived from the Khmer Language (Mae (Boss, Mother or Long) and Kong (water)). 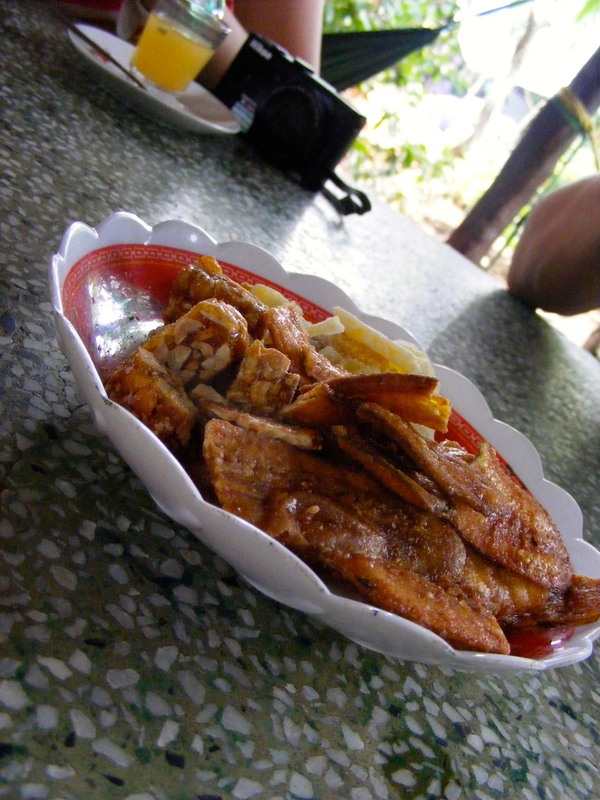 The river is a very important part of the economy in Vietnam it supplies the majority of the fresh produce and seafood to the Southern region. 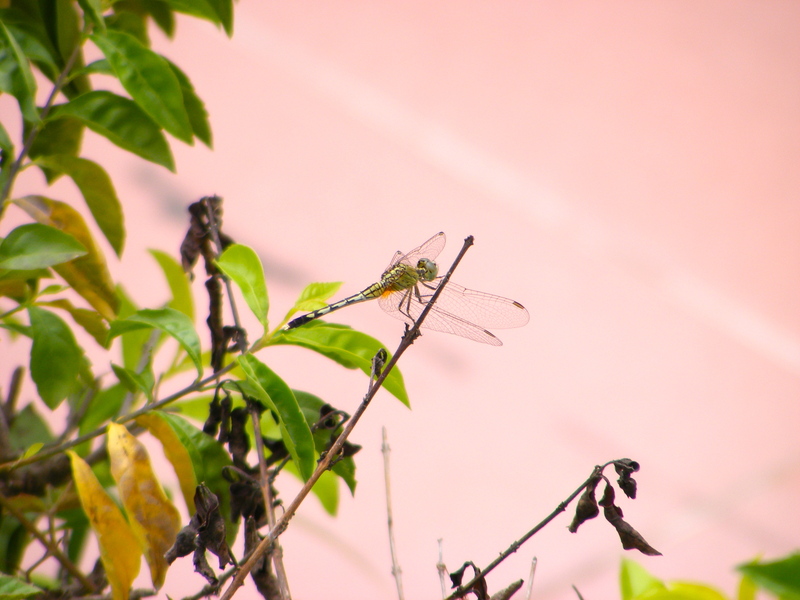 The Vietnamese call it Sông Cửu Long (“Nine Dragons River”), because the Dragon is the most important Holy creature representing Joy, as the river does to those who use it. The sheer brown expanse of the river was overwhelming as we made our way across it to Unicorn island, passing fish farms and house boats. 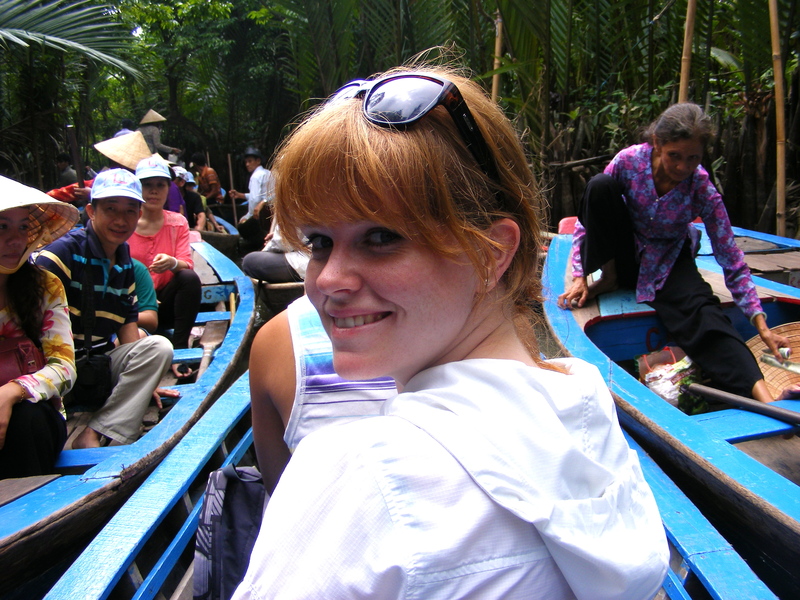 We clambered off the boat, trying our best not to slip on the wet wooden planks and proceeded under the overhanging canopy of wide green leaves into a market place. I couldn’t believe how many people there were jostling to get the best price for the local wares. Our first port of call was the honey farm here. 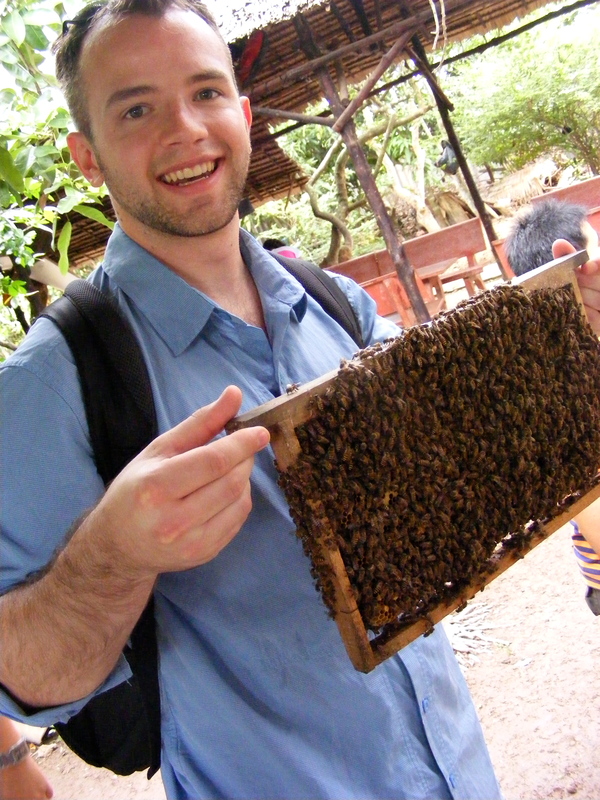 Craig was most delighted when he could not only hold the bees in a hive, but also a python that was casually being passed around the tourists at the market. 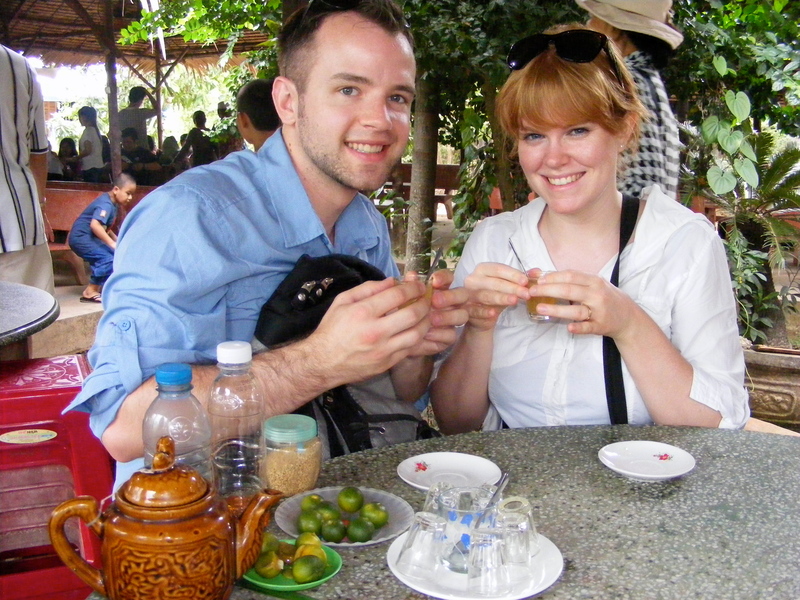 We sat and enjoyed honey tea infused with lemon and some tasty snacks. 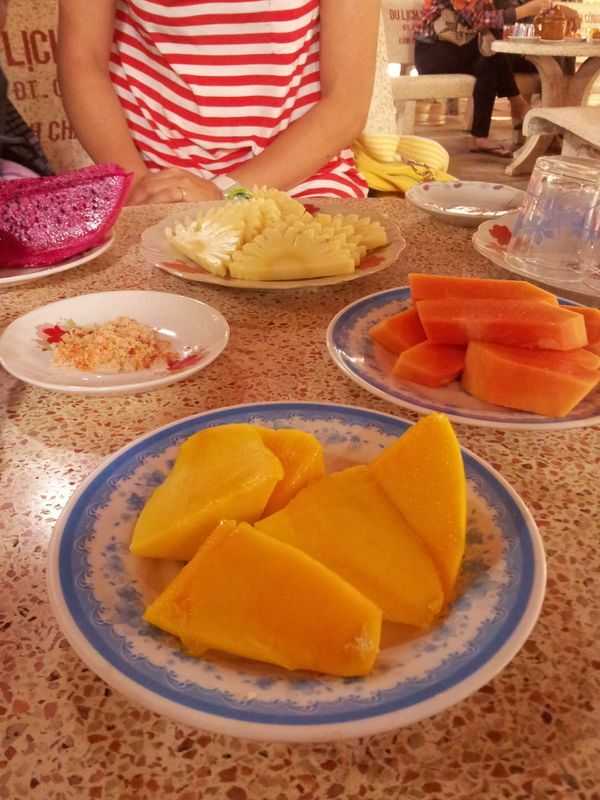 This was only the first of our culinary delights, as once we had finished our guide led us to the next restaurant to enjoy traditional folk singing and fresh fruit. Unfortunately for us, the rain that had been threatening to start for most of the morning, began as we hopped on our traditional bamboo raft ride down the canal on Unicorn Island. Check out all those people! 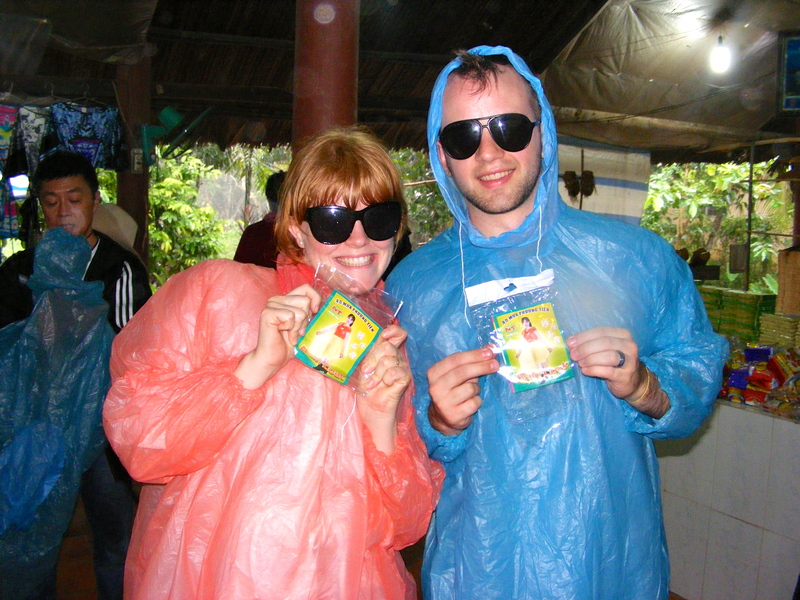 We felt very authentic in our straw hats and plastic sheet raincoats. The canal is absolutely full of boats, our hosts on the boat aptly paddled their way dodging other boats, overhanging branches and submerged coconuts in the pouring rain. We carefully disembarked and continued on our way. 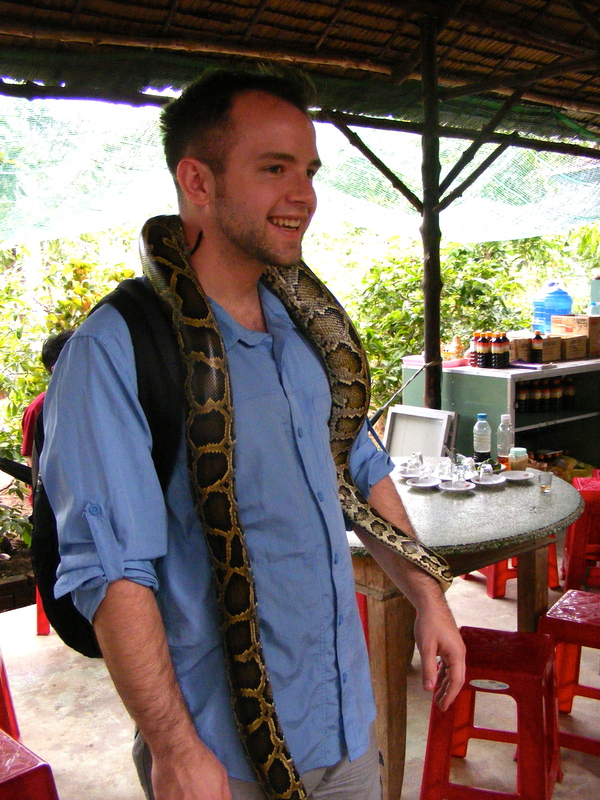 The snake theme continued at the coconut candy factory where Craig sampled snake infused vodka. Before a bumpy horse cart ride in the rain to our lunch destination, as you can see we picked up some stylish rain gear on our way. Hmmm, it certainly tasted better than it looked and the company for lunch was out of this world. 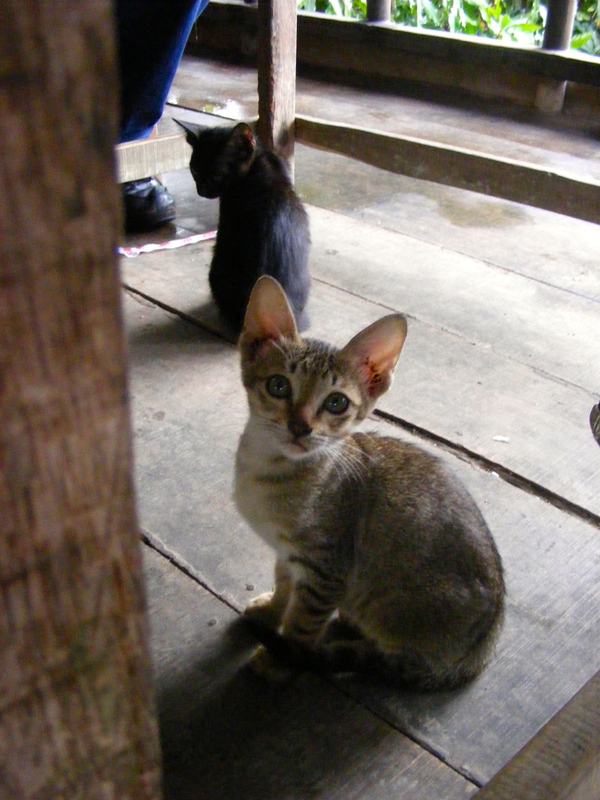 One of the three beautiful kittens who joined us for lunch. 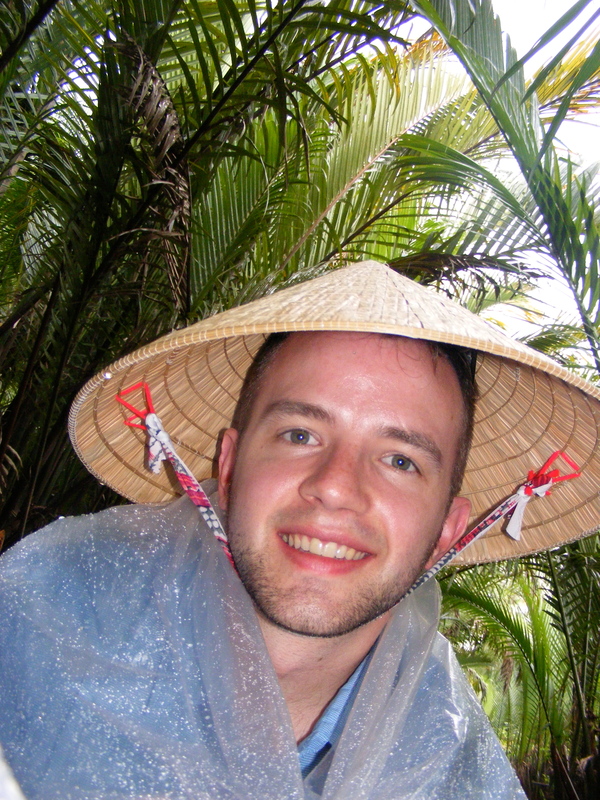 After a long day and very small sample of the Mekong River, wet and tired we headed back to Saigon. After a quick break, we went out to Shibuya Wagon. This innovative little restaurant takes desserts to a totally new level. Their main concept is toast. Beautiful crunchy bread is coated in peanut butter, nutella or crunchy toffee with walnuts, drizzled in maple syrup and served with ice cream and cream. A decadent delight and perfect end to the day. Tomorrow it is farewell to Saigon as we head for Hanoi. 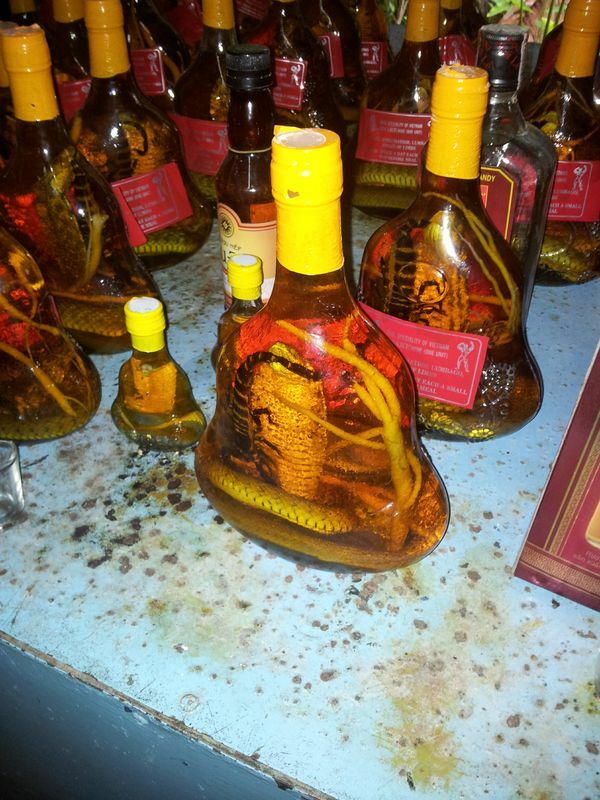 You actually tasted the snake wine? 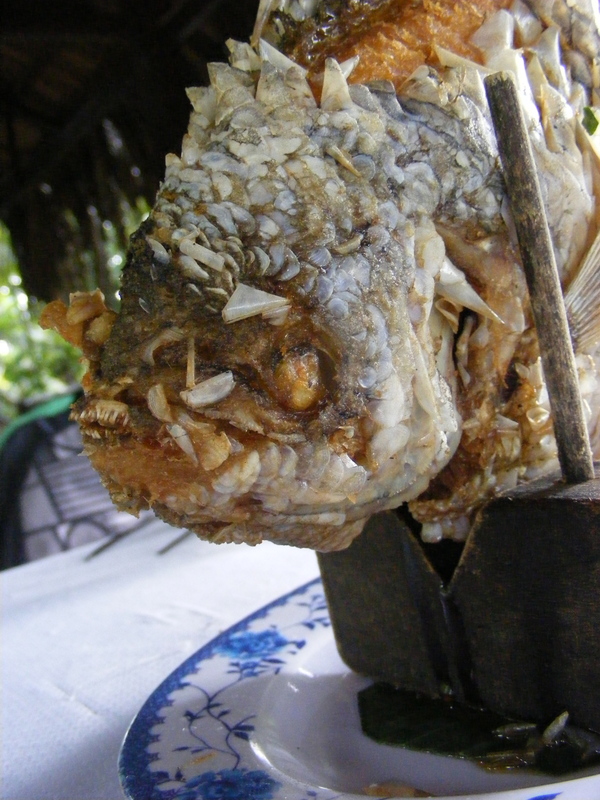 It just looks way too gross for me to try and cant imagine that it would actually taste good. You are very brave. I didn’t but my husband Craig did. Supposedly it is a standard cure for arthritis here. Love your blog !